Here is a spider web which I photographed when we were stuck in a long traffic jam. I had to wait till my husband had inched the car forward to get the light coming from the right angle. 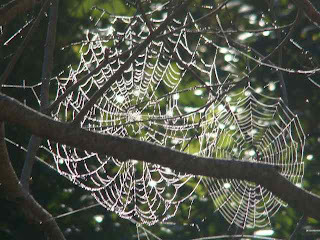 Spider webs are magic when the sun shines on them.